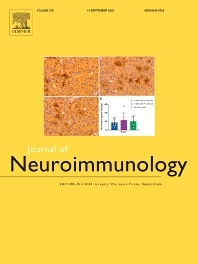 The Journal of Neuroimmunology affords a forum for the publication of works applying immunologic methodology to the furtherance of the neurological sciences. Studies on all branches of the neurosciences, particularly fundamental and applied neurobiology, neurology, neuropathology, neurochemistry, neurovirology, neuroendocrinology, neuromuscular research, neuropharmacology and psychology, which involve either immunologic methodology (e.g. immunocytochemistry) or fundamental immunology (e.g. antibody and lymphocyte assays), are considered for publication. Works pertaining to multiple sclerosis, AIDS, amyotrophic lateral sclerosis, Guillain Barré Syndrome, myasthenia gravis, and brain tumors form a major focus. The scope of the Journal is broad, covering both research and clinical problems of neuroscientific interest. A major aim of the Journal is to encourage the development of immunologic approaches to analyse in further depth the interactions and specific properties of nervous tissue elements during development and disease.